The most exclusive of exclusive watches, the Project Z10 in Zalium has 35 jewels, at 28,800 vibrations per hour. A magnifier, retrograde seconds and retrograde day, and a gorgeous blue anodized aluminum skeleton dial. Finished in galvanic black circular satin, this watch is a stunning eye catcher which even has a sapphire crystal case back. Limited Edition of just 300 pieces. An analogue smartwatch that can detect and record your every move – including swimming, walking, running, or even sleeping? Sign me up. The Withings Activite Steel manages to do all this sans buttons. This stylish watch also comes with a Health Mate app which integrates your favorite apps, such as Fitness Pal, Google Fit and Apple Health. 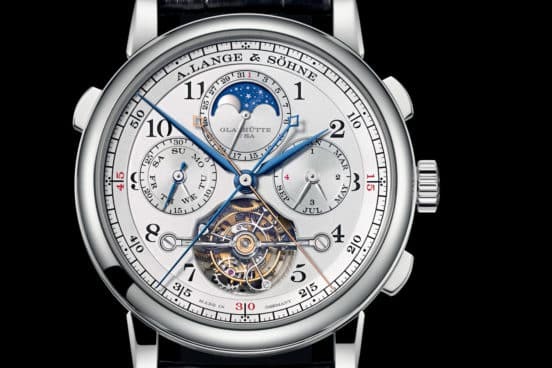 The legacy of Lange & Söhne was refurbished by the late Walter Lange, who revamped the 1845 brand after German reunification. His watches are some of the most famously designed in the world. The Tourbograph Perpetual Pour Le Mérite is stellar, with calendar, flyback, chronograph and tourbillon with chain and fusee transmission. 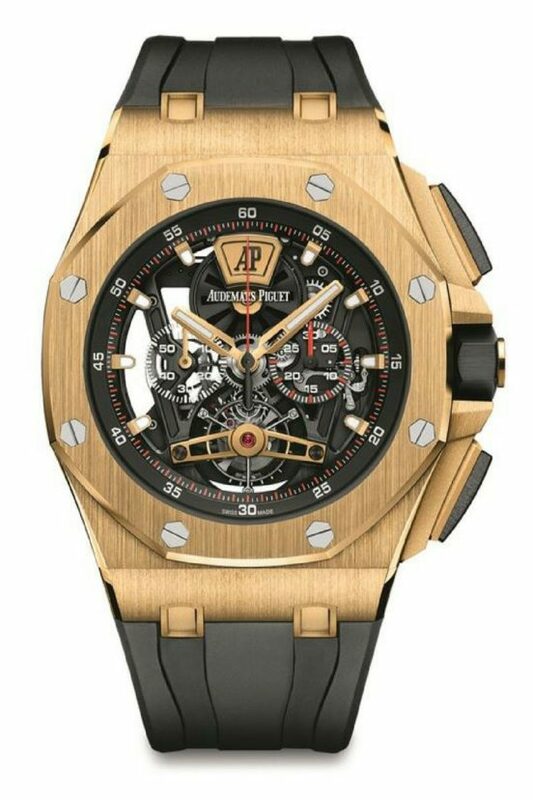 Audemars Piguet is most famous for its iconic Royal Oak. 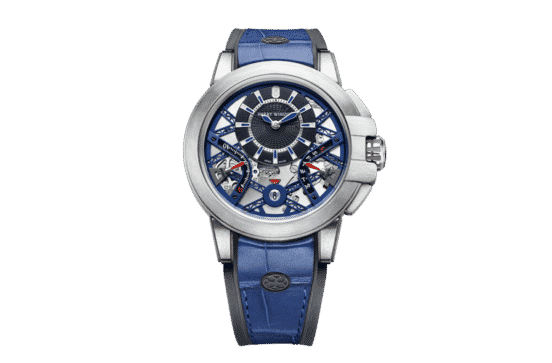 This newest version is now available with metal, including two 39mm models that have blue or champagne dials. This large watch feels expensive and it ought to considering the cost. An all-platinum version will soon be available for the 40th anniversary of the brand. 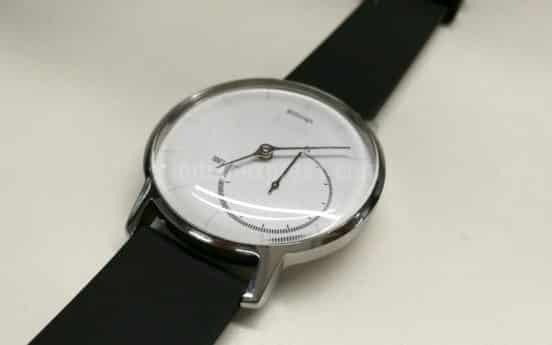 Fancy watches continue to one-up each other by offering competing features. Fifty Fathoms is a new offering that actually adds a moisture indicator to the list of things you would not expect on a watch. 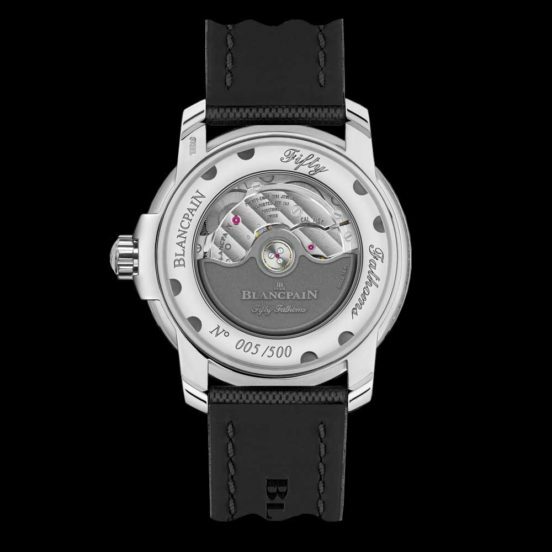 This model is actually a throwback, and the moisture indicator is based on the original military versions of this watch. The old devices had a white disc that turned red at the first sign of water inside the casing. It’s a very long frame for a very special (and very expensive) watch. 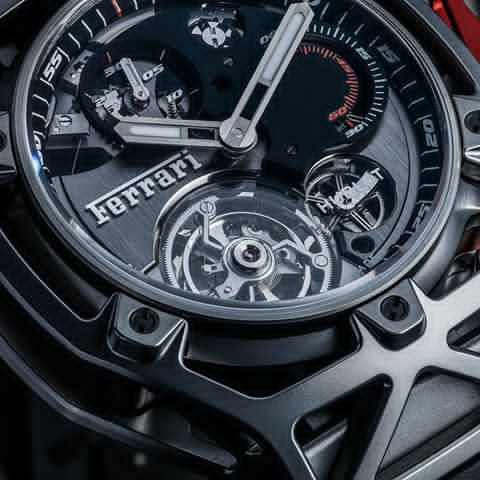 This one is celebrating the 70th anniversary of Ferrari, so it departs from its usual porthole design in order to pay tribute to the Italian car great.Flavio Manzoni, the legendary design director for Ferrari, had a big hand in creating this watch’s design. The result is a unique, skeleton-like case which models itself on the lightness of the modern supercar. This is quite an exciting watch, as it accentuates the B01 crhonochragraph with a ceramic base plate that is actually self lubricating. (No more need for 11 bearing jewels to get the job done.) 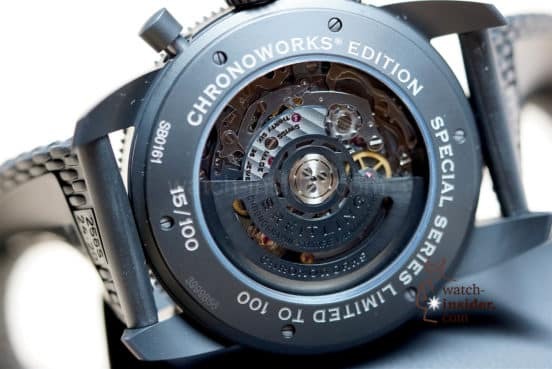 It also includes a cool silicon escapement and a way to make the chronograph more elastic. The hands sweep along swiftly and it looks amazing.